News: Want to know your co-worker’s salary? 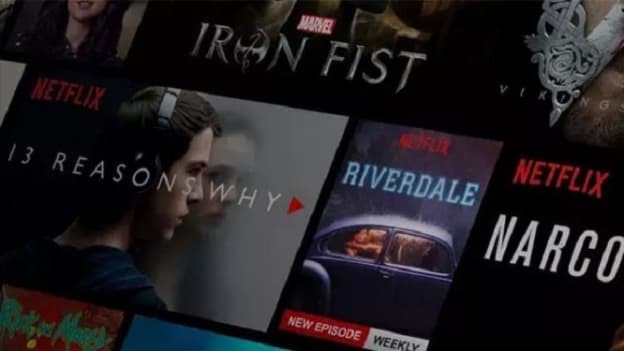 Join Netflix! Want to know your co-worker’s salary? Join Netflix! An open-salary policy, a closed-salary system or selective pay transparency are all questions that HR professionals deal with, especially when companies like Netflix pay their employees high salaries openly. To reveal or not to reveal--that is the question. In an endeavor to build a workplace based on trust and transparency, some companies including Netflix are choosing to reveal the salaries of CEOs and executive level employees. With platforms such as Glassdoor and Monster.com wherein employees can openly mention the salaries they draw, the CHROs and HR practitioners from across the globe are figuring out how to navigate this world where everyone knows each other’s salaries in the office. About 60 percent of American workers surveyed for the 2018 Compensation and Culture Report by Beqom said they wanted to know their CEOs salaries. In today’s social scenario, employees want to work in an open environment where they can discuss various issues frankly with their superiors. For them, salary is no exception. Netflix started the open-salary policy so that high-level employees understand whether their salary packages are fair. However, some employees were still surprised at how high were the highest salaries. Salaries at Netflix range from six-figures for entry-level coordinators to a minimum of $1 Mn for vice presidents. Netflix is thus not just disruptive in the world of streaming but also in terms of HR and compensation sharing policies. There’s a widespread belief among 78 percent of the respondents that CEOs and executives draw incomparably higher salaries as opposed to their employees. According to the report, 48 percent of workers in the US believe that women are paid less than men in their respective organizations. Only 19 percent of Americans said they could easily discuss their compensation and salary queries with their supervisors. HR professionals are looking at Netflix’s culture and company values to determine how their open-salary structure work and how do they keep their employees engaged. Taking a page out of Netflix’s book might help the HR profession boost employee satisfaction levels and productivity. Employees are reassured that they are treated fairly and in some cases might also be motivated to do better to earn the big bucks. However, the way a company chooses to reveal their employees’ salaries is crucial. Some might post it on the website while others might share price bands so that individual employees can calculate their salaries based on their department, level of experience and job description. The Companies Act of India applies to all publicly listed companies in India wherein the Board of Directors has to release a report to the company’s shareholders covering all information about directors’ remuneration. It includes detailed information about salary, benefits, stock options and pension of all the directors. Performance linked incentives, fixed portion of the salary, service contracts, severance fees and other remuneration details become public under the act. Pay transparency has been prevalent in the public sector and more companies in the private sector are looking to adopt a similar culture. HR professionals would have to support the compensation structure with reasons. An open-pay system might turn into a delicate game for recruiters and human resources department while bringing in a sense of openness in the company culture.